Our mission is to provide support for families who choose to educate their children in the home. The Home School Program assists parents in educating their children to become contributing members of a literate, skilled, and responsible society. As we continue to grow, we continue to develop new programs and activities for our students and their parents. Aside from supplying our students with all required textbooks, we guide our parents through their lesson planning. We also have computers for use in our classroom as needed and math manipulatives for check-out. Additionally, home school families will join together for field trips throughout the year, as well as, participating in our annual family picnic. Finally, workshops to assist parents with instruction in writing and mathematics are offered a few times each year, as needed. The East Whittier City School District supports ALL children through a variety of educational programs. These include our outstanding traditional general education programs in our 13 schools, our special education programs, our G.A.T.E. programs, and, of course, our home school program. Each child is a unique individual with unique needs. We choose to provide differentiated programs to meet those needs. This website has been developed to provide answers to some of the most frequently asked questions about our program (see FAQs). If, after reading the information provided here, you would like to register for our program, please go to Registration Information. If you have further questions regarding our program, feel free to email me at homeschool@ewcsd.org. For those of you already participating in our Home School Program, additional forms have been added to this website for your convenience. I appreciate your interest and look forward to meeting you. What grades does your Home School Program cover? Our program is for students in grades kindergarten through eighth grade. Are there any requirements for entering your program? For most students, the requirement is only that a parent or designated caretaker is available to provide the education required for the student to make adequate progress. If the child is a second language learner who is still learning English, our program would not adequately meet his/her needs. Therefore, English Language Learners are not eligible. If a child is currently being provided special education services, the IEP team at the child’s current school must meet and recommend homeschooling as an appropriate setting to meet his/her needs. If homeschooling is recommended, the child would still be eligible to receive specialized services at the school (Examples: speech and language services or adapted PE). Parents would need to provide transportation and ensure that the child attends the designated services regularly and on time. What is the difference between a public school program and other private programs? All homeschool programs provide different types of services. As a public school program, however, students are provided with all the same textbook materials as students in the classroom. This eliminates the cost of purchasing educational materials by the family. Although some private programs provide direct support, our program includes a credentialed teacher who assists the parents throughout the year with curriculum objectives and the pacing of lessons. This teacher also provides guidance to the parents in daily lesson planning as needed. How often do we meet with the credentialed teacher to get new curriculum plans? Families must meet with the teacher at least once during each instructional month, as determined by the District’s instructional calendar. Parents are also asked to contact the teacher via email or phone once per week to confirm that there are no problems that should be resolved. Of course, parents are encouraged to seek answers to any questions as often as necessary. What does a monthly lesson plan look like? See sample copies of the monthly plan and daily lesson plans below under Forms. How strictly must I follow the curriculum as outlined by the teacher? It is the philosophy of the program that we are here to support those families who choose to educate their children in the home. As with all public programs (and many private), our lessons are designed to help students adequately achieve the objectives of the California Content Standards and progress academically. However, the parents, acting as teachers, have the right to prioritize lessons, determine pacing, and adjust plans to meet the needs of their particular child. Our program does not inhibit any instruction in areas outside of the California Content Standards provided by parents to enrich their children’s education. If a student completes all the requirements to graduate from the eighth grade in the program, can he/she participate in a graduation ceremony? Yes. At the completion of eighth grade, students graduating from the Home School Program may participate in the graduation ceremonies of an assigned school. 1. Contact the Home School Program through email at homeschool@ewcsd.org or by phone at (562) 789-7139. Our program specialists and you will determine if our program meets the needs of your child. Once it is determined that this program is an appropriate placement, you and the program specialist will sign the Program Agreement. 2. Only after it has been determined that this program is an appropriate placement, you will be referred to come to the home school office for registration. Not an East Whittier City School District Resident? If you are not a resident of the East Whittier City School District, you need to obtain an Inter-district transfer from your current district of residence, before the registration process may begin. 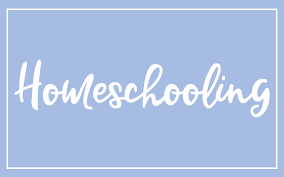 Once you have reviewed the website (especially the Frequently Asked Questions, FAQs), contact the Home School Program through email at homeschool@ewcsd.org or by phone at (562) 789-7139. Our program specialists and you will determine if our program meets the needs of your child. Once it has been determined that this program is an appropriate placement, you and the program specialist will sign the Program Agreement. Next, contact your current district of residence to complete the Inter-District Transfer (commonly called a “permit”). Please keep in contact with your program specialist during this process, especially letting her know when you have received the release from your district of residency. This will allow her to assist with a smooth transition as you complete the process.